All began in 1994 with a family from Gerlingen taking a trip to a musical. After they visited "Starlight Express" in the city of Bochum the family decided to head deeper into the Ruhrgebiet culture. No way better to do this, is to visit one of the numerous football stadiums in this area. Their choice at the time was the Westfalenstadion in Dortmund. So fate took it`s course. Right away the most beautiful football stadium in the world (quote: "The London Times") spilled it`s magic over the family from Swabia. The black and yellow virus jet claimed another victim and was spread from there on in the south of germany. At the beginning the family joined the "Niederrhein Borussen" from the Rhineland to follow their team around germany and europe. In 1999 they decide to form their own supporters club and the "Solitude Borussen" was founded. 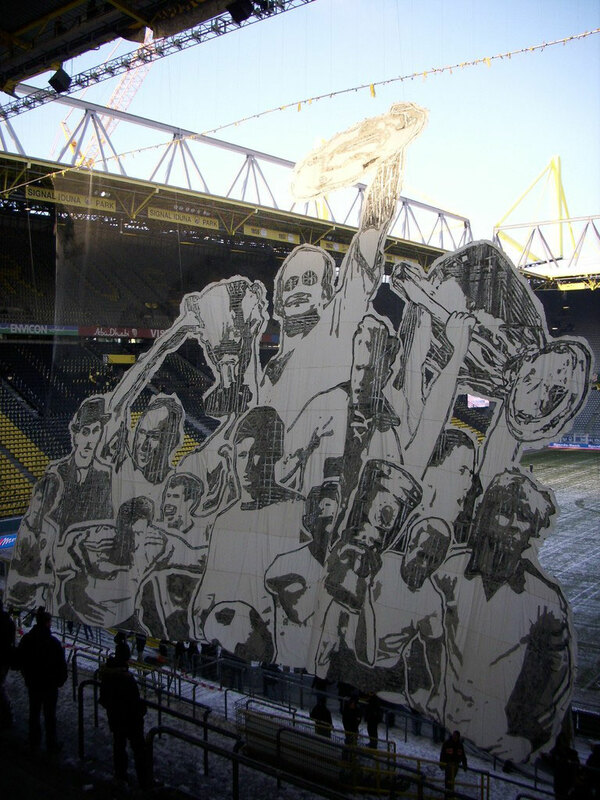 Since then the Solitude Borussen are acknowledged as an official supporters club by Borussia Dortmund. Our members mainly come from the greater Stuttgart/Ludwigsburg area. But never the less we got members from the swabian alb right down to Switzerland and of course in Dortmund. We represent the whole range of age, from the new born to grandma and grandpa. Of course the most active members are between 20 and 50 years of age. 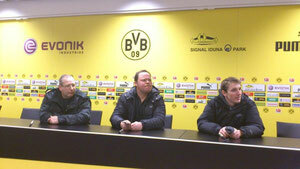 We welcome everyone who lost it`s heart to Borussia. 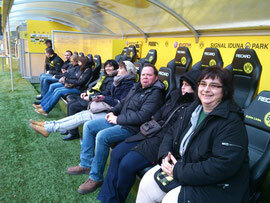 We regulary visit home and away games of our BVB, Bundesliga, cup games and Champions League. We represent all kinds of supporters, those who visit every game, season ticket holders, occasionally visitors. You just visit that many games you are able to afford, due to family or job. Once a month we host a supporters club meeting where everyone is welcome to join us. That way you can introduce yourself and find out what we are about. If chemistry is right, you are more than welcome to join us. In recent years we`ve been regulary involved in various activities such as, "Not for sale! ", "Derby Boycott", "Kein Zwanni"(twenty`s plenty), Am Borsigplatz geboren - Franz Jacobi und die Wiege des BVB". We also support social projects like the Children Hospitz in Witten. 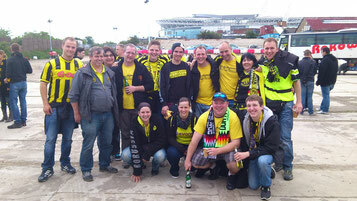 We appreciate everyone who shares your passion for Borussia. If you like to meet us, don`t hesitate to contact us.